TED (Technology, Entertainment, Design) talks have been known to move and inspire people through a vast array of topics. 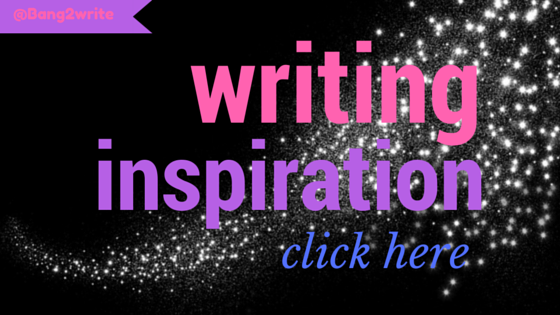 One of its most moving themes may yet be on writing. Some of the most prolific writers also prove to be engaging speakers, and have shared important tips with aspirants on the stage. In a society fixated on ‘genius’ and being unique, Elizabeth Gilbert shares how everybody has the capacity for such creativity. Aspiring young authors should feel comforted by the fact that greatness isn’t reserved for just one type of author or story. Author Tracy Chevalier looks at paintings and sees stories in them. This led to her best-selling book, The Girl with a Pearl Earring. While everyone else might see a plain view, writers have a flair for looking at the world in a different way every time. It seems unusual to have an ending before you even know how to begin, but this is how Andrew Stanton created some of his most emotionally moving animated films. One of the minds behind Wall-E and Toy Story, Stanton suggests that writers ask themselves: What do you want to achieve with this story? Starting at the end and having a set idea of what you want to achieve can actually give you a better handle of how you can achieve it. Some writers don’t like the idea of using tech to help them get their ideas, but for author Joe Sabia, technology is just another step in the evolution of storytelling. From something as simple as a pop-up book, innovations in storytelling have come to shape the way we tell stories today. So there’s no shame in writing in that online platform, or making use of a few apps to gear up your productivity. As a long-time copy editor for The New Yorker, Mary Norris knows what it’s like to read through copy and make a more polished end product. As writers, we need to acknowledge our responsibility to fact-check, proofread, and of course weed out grammatical mistakes in our work. Plenty of professionals can help us with our editing. Famous for her magic realist novels, Isabelle Allende talks about a passion that drives writers to write. While having a structure is necessary to keep all things in order, don’t let the initial flame in you die. What drives writers to write is ultimately their passion, and that’s what you need to keep hold of. Susan Cain’s often-cited work on introversion and the power of introverts again poses a meaningful food for thought: introspection is just as important as external observation. Writers tend to forget that they have an entire world inside their minds that they haven’t yet explored. Though looking for inspiration outside yourself is necessary, inspiration within you can yield results that are just as creative. Pico Ayer describes travel as a great way of exploring one’s identity both geographically and introspectively. Similarly, Chimamanda Ngozi Adichie talks about how, in order to reshape our stories, we need to also look at what we are. The danger of a single narrative, according to Adichie, is that it overshadows all others. But in order to voice out your story, you need to look back at your roots, first. Celebrated Korean author, Young-ha Kim, describes the power of child-like wonder in a world that has become too structured. Tapping into that inner child and forgetting your inhibitions in writing can get you off on a good start. Well, at the very least, it can get you started. BIO: Stacey Marone is a freelance writer and contributor for essays scholaradvisor. She likes exploring new cultures, languages and gathering interesting facts. In her free time, she also does volunteer work and organizes some activities for children. Her passions involve painting, reading, and writing. You can follow her on twitter.